The local Philadelphia Chapter has been brewing on March 8 for the past two years. 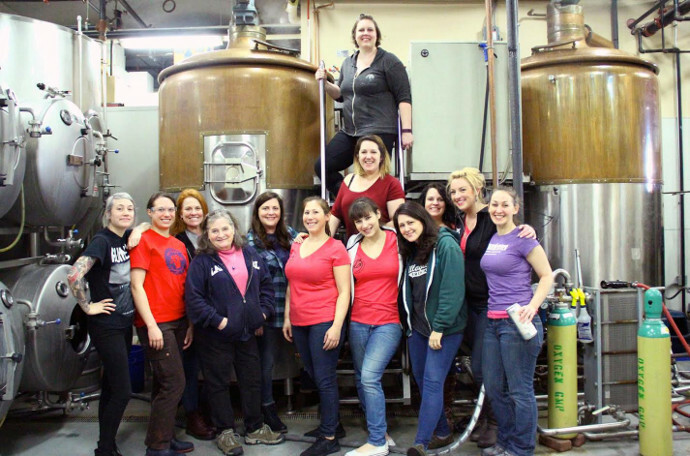 “Each year we have picked a brewery to work with and every year the number of women participating has grown. 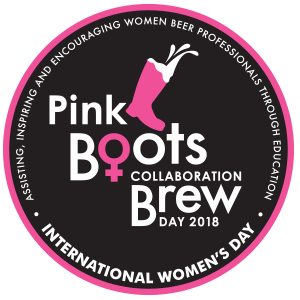 This year we are hosting our largest brew day yet with five area breweries and a University hosting brew days” says Erin Wallace, President of the Philadelphia Chapter of Pink Boots Society. The National Chapter selects the style of beer, with each chapter/ brewery coming up with their own version of that style. This year the Pink Boots Society teamed up with YCH Hops to create a special hop blend for each chapter to brew with. Pink Boots Society Philadelphia Chapter brew day 2018. About the Pink Boots Society: Pink Boots Society is an international nonprofit and USA tax-exempt 501(c)3 organization. We assist, encourage and inspire women beer professionals to advance their careers through education. Our 2,700+ members in the US and countries around the world are the beer industry leaders of tomorrow, and they inspire women consumers to choose beer as their adult beverage of choice. Sign up for our e-newsletters, shop our exclusive Pink Boots products, and more at www.pinkbootssociety.org. About Sly Fox Brewing Company: Sly Fox Brewing Company is a state-of-the-art regional craft production brewery with an adjoining tasting room in Pottstown, PA, opened in 2012 to complement its 21-year-old brewpub in nearby Phoenixville, PA. With current distribution in five states, including Pennsylvania, New York, New Jersey, Maryland, Virginia, and the District of Columbia, Sly Fox has continued to grow in popularity since its first brew in 1995. About Eight and Sand Beer: Eight & Sand Beer Co is a 10bbl brewery located in Woodbury, NJ fully devoted to quality craft beer brewed with patience, love, and with the local community in mind. The styles are traditionally European with an American flair – most of which are sessionable. Growlers, cans, and 22oz bottles are available for take-out; draft and cans are available at accounts across South Jersey and are inching further north all the time. Eight & Sand is open Thursday and Friday 5pm-10pm, Saturday 12pm-10pm, and Sunday 12pm-7pm.